Ask Katharine Pooley what she has not done in her life and you’d probably end up with nothing. She has worked in the corporate world before pursuing her true calling in interior design – establishing her eponymous design studio in 2004. She is an author and even attended courses at Le Cordon Bleu. While the work of designing cutlery for Fortnum & Mason may look pristinely and meticulous, she is also an adventurous mountaineer who always seeks a challenge. She has travelled to over 196 countries and experienced every part of the world. The intrepid traveller has undertaken many testing adventures over the years with one being an expedition up the highest mountain in Antartica, Mount Vinson Massif — a long and arduous journey with a heavy backpack while dragging a sledge in very strong winds. She even crossed the Sahara on horseback. “Once you’ve seen a desert sunrise on horseback, there is very little else that you can compare in beauty. I also feel more comfortable in a tent than a hotel room,” she muses. While she turns the design volume down a notch at home, the houses she designs for the rich and super-rich are decked in extravagance. 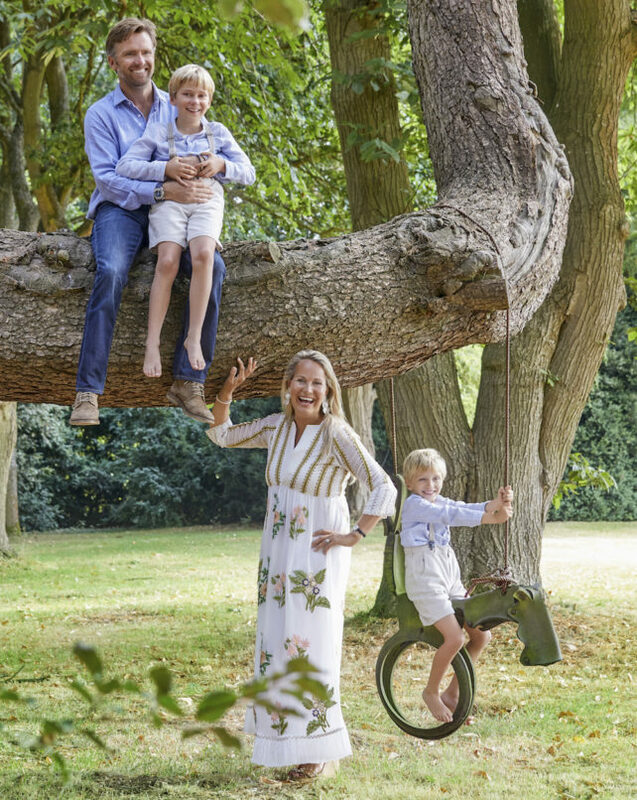 The mother of two, Jack and Charlie, is after all, the most sought-after interior designer in the UK and around the world with clientele comprising celebrities and members of the royal family. As someone who enjoys being outside her comfort zone, the 50-something self-taught designer is no fan of normalcy. She confides: “I really don’t enjoy when designs are repeated again and again with no thought for the client or project. It is so lazy and shows a complete stagnation of creative vision. We caught up with Pooley in Four Seasons Kuala Lumpur recently to talk about her design philosophy and how she keeps her family, work and travels in full equilibrium. What would you consider a successfully designed space? 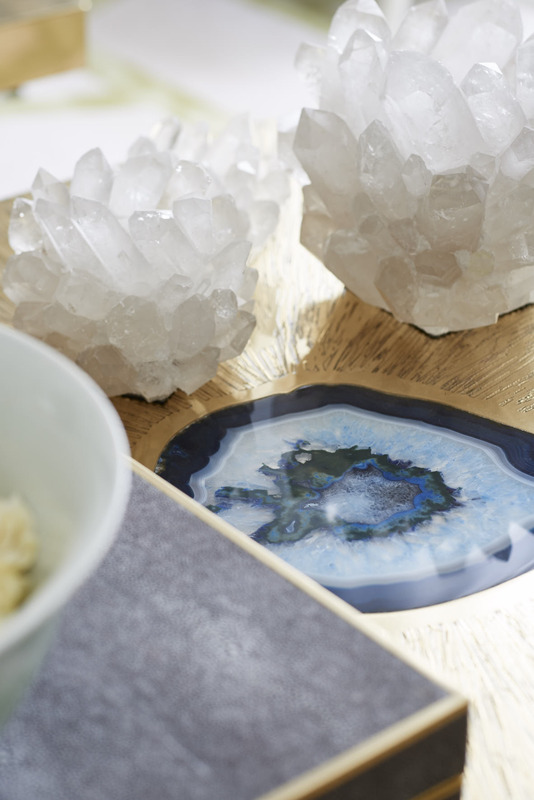 It has to be beautiful and combines luxurious finishes with exquisite craftsmanship and thoughtful detailing. But it also must be comfortable and suitable for its purpose. Hotel and restaurant spaces must be functional and highly durable, while aviation and boat interiors have to take into account weight and humidity. 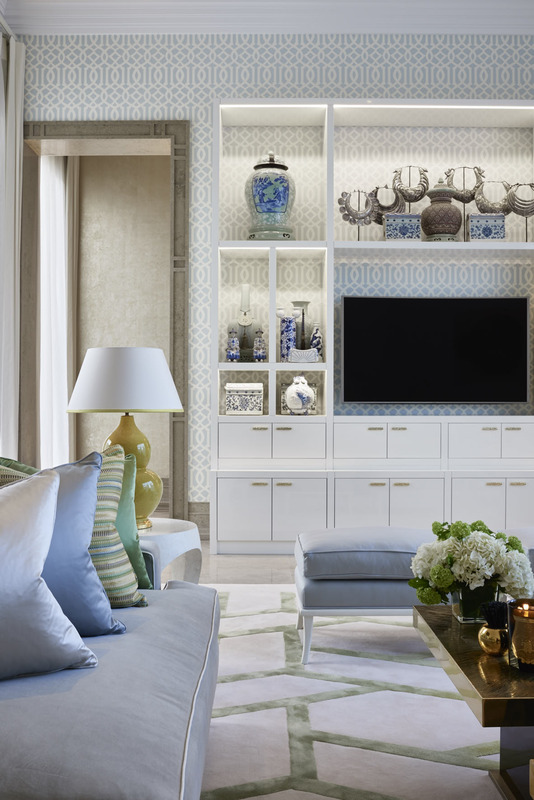 When designing for private individuals and their families, the spaces must reflect each individual’s personal passions and taste. There is a lot to consider in addition to pure aesthetics, but I find that no matter the scale or style – success is assured if you really listen to the client and take note of their hopes and dreams for the project. 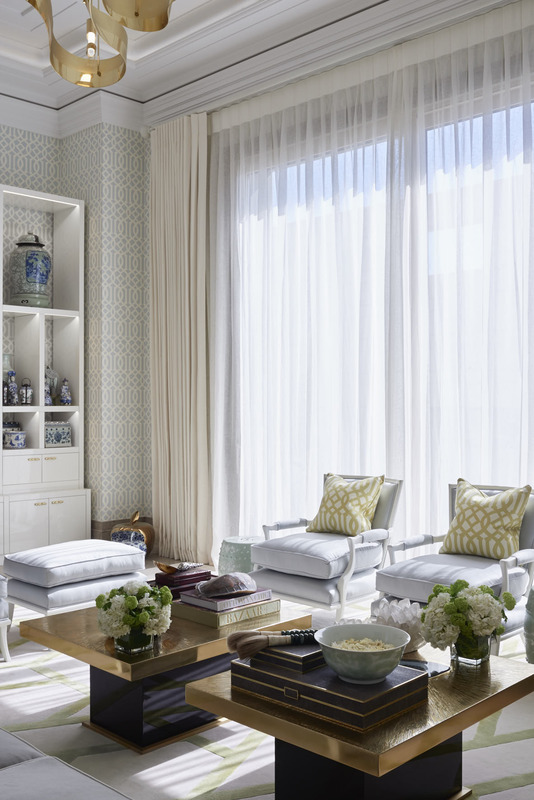 How do you measure the need for comfort, aesthetics and balance in a space? Start with the practicalities of the space – how will it be used, by whom and for what. I work with our interior architects on spatial planning first on plan and in 3D modelling. Once this is perfect, we move onto finishes and materials. There has to be a balance between aesthetics and function (they are both equally important) but fundamentally, if the space is uncomfortable, or the view ugly, the project is a failure. But you’re not trained an interior designer. Yes, I previously lived in Hong Kong and Singapore working in investment banking, and was inspired to become an interior designer when I returned to London after 14 years. 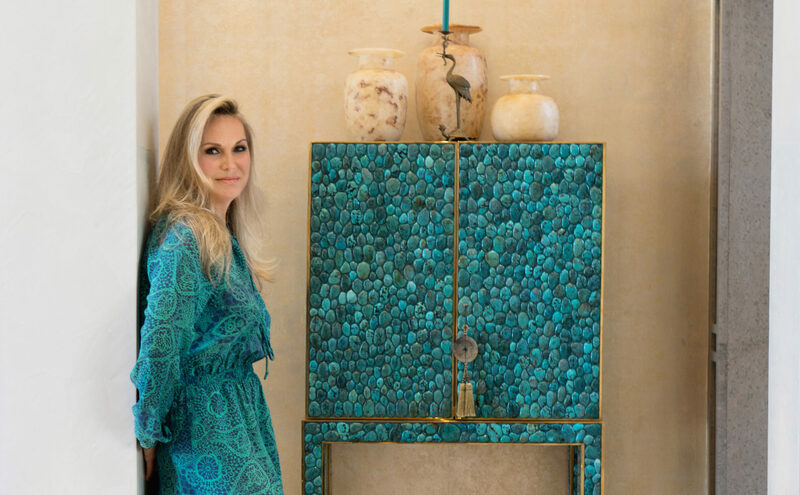 I have always had a keen eye for design and a passion for collecting and creating beautiful objects and interiors – I suppose it was a natural progression. We are sure you’re enjoying every bit of it. Since opening my boutique in 2004 on Walton Street in Knightsbridge, it has grown to be one of the largest design studios in Europe. I now have 47 interior designers and architects working for me – we are in a much larger studio space and take on exciting landmark projects every year. But I’m not sure that I want to be famous; fame sounds so transient. I prefer to have my designs speak for themselves, to be respected and for me to be considered a leading figure in the world of interior design. And you're definitely one busy woman. How do you balance your lifestyle between work, travelling and family? It is tough to find a balance. Many of my projects are overseas and I have a very hands-on approach with my team. I enjoy spending time on site checking progress and meeting up with clients. I have always had an inhumane amount of energy and am fanatically detailed and organised with my schedule – no time is ever wasted. I try to ensure that when I’m home, my two sons enjoy serious quality mummy time and if that means I catch up on emails super early in the morning or in the middle of the night (my poor husband), so be it. You travel a lot for work and adventure. What would a Katharine Pooley’s suitcase look like? Always take a home comfort with you – for me that is a travel bar of Hermes soap, my alarm clock that has two faces so that I always know the time in the UK and the local destination, a selection of global sockets and a plastic folder where I keep any cutouts of things interesting to me along the way. Most importantly, I must have my phones so I can work, photograph inspirations as I go and look at photos of my sons wherever I am. I have even been known to take a satellite phone in the past just to be sure. If it's your last day on earth, where would you like to be teleported to and why? Raja Ampat – its meant to be the most beautiful place on earth and I haven’t quite found the time to visit yet. You’ve lived in Singapore before. What are your fondest memories living in Southeast Asia? Favourite details would be running in MacRitchie Reservoir Park with my dog Piglet every morning and eating the most amazing French food at the Corner House in the Botanical Gardens. We, my brother and I, also drove up to the East Coast of Malaysia to Kelantan and Terengganu back in the early 90s. I loved the weather, the beautiful trees and the wonderful positivity of all the people I worked and lived with there. Also, I am a big fan of Asian cuisine – some of my most favourite restaurants are the Chinese restaurants in the Four Seasons hotels in Singapore, Kuala Lumpur and Jakarta. Lastly, do you have any advice for upcoming interior designers and dream chasers out there? Aim high, work hard and never take no for an answer. Everything is possible, so follow your dreams. Courage is your currency. Drive, determination and vision are everything.